Lotus have surprised us all this afternoon with an impromptu showing of their 2015 challenger the E23. Powered by Mercedes in 2015 the Enstone squad which have had success with Renault down the years made the switch to the German marque having lost 'works' status with Renault to Red Bull, with the Renault unit reportedly the most expensive on the grid it made sense for the team to seek a unit that can help them challenge for the 2015 titles. 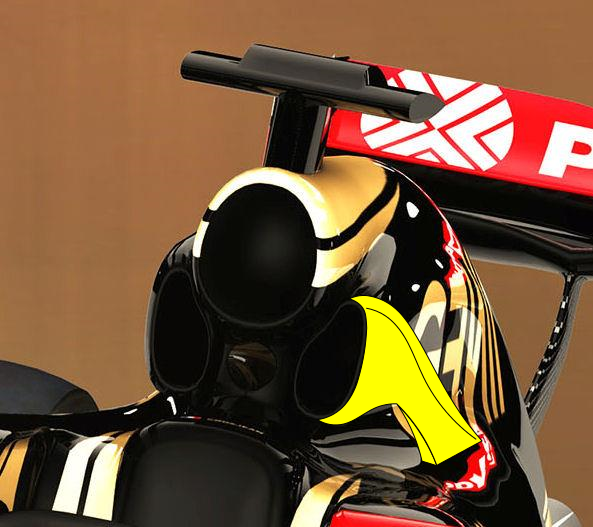 Starting at the front of the car we can see that Lotus have chosen a slightly different route in terms of the nose construction compared to the 'thumb' designs we are expecting many to produce (See the Williams FW37 render). The new regulations were bought in to try and curtail the gentleman style appendages our eyes were assaulted with in 2014, but as the nose is a key design parameter in the cars concept much care will have been taken in the redesigns. Many will have you believe that mass flow is the answer as you must get as much flow to the leading edge of the floor as possible and although this is true to an extent, it's the quality of flow that is much more important. Initially looking at the E23 I was reminded of Enstones last championship winning cars, the R25 and R26 which featured a similar low nose, tapered concept. 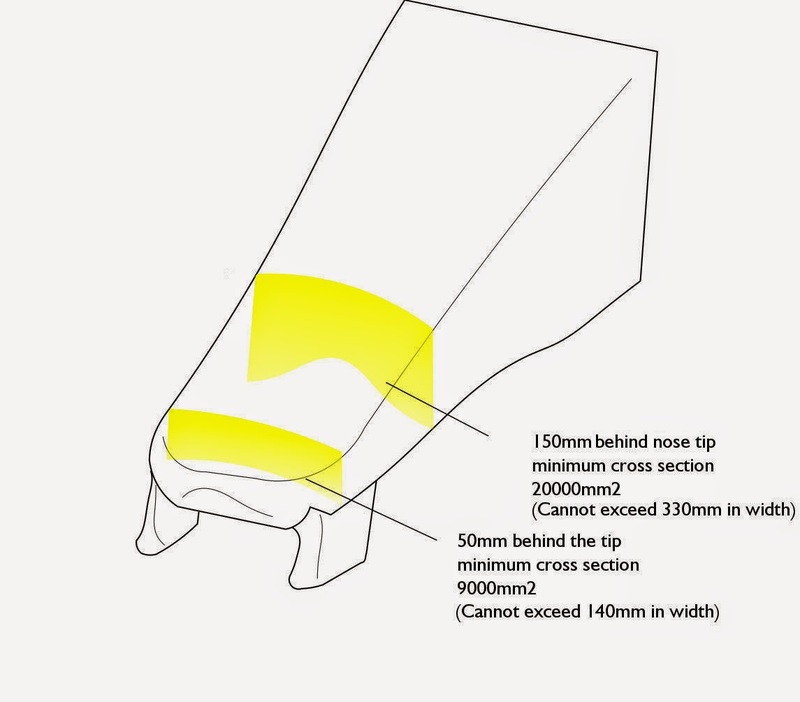 You'll note that Lotus have looked to keep the shortest crash structure possible (850mm) so that the pylons can be mounted off the rear end of the front wings neutral section, maximising how it interacts with the nose structure. This is a challenge itself as this requires a much shorter deformation area for the crash tests. This makes for a much narrower nose than would normally be used, with most teams taking the front wings mounting pylons to the 330mm width maximum and trying to use that to increase the amount of flow that can be gathered centrally. In the most forward view we can see the full impact of this decision as further downstream the nose assembly tapers out to meet with the chassis, whilst underneath the chassis Red Bull esque Z shaped turning vanes will re-profile the airflow moving toward the bargeboards and sidepod undercut, energizing the flow. The sidepods are flanked by single piece sidepod airflow conditioners that arc over their shoulder to form a leading edge slat that meets with the cockpit, just as its predecessors did. 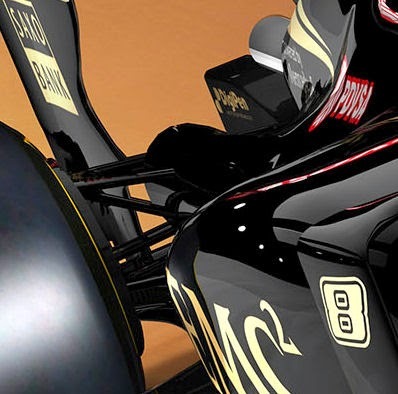 In the render the sidepods seem to mirror the sort of profile the E22 had too, but in the rearmost section it appears they have followed Red Bull and Mercedes path utilising cooling cannons either side that extend through the suspension elements, terminating at the same point as the cooling outlet above it. 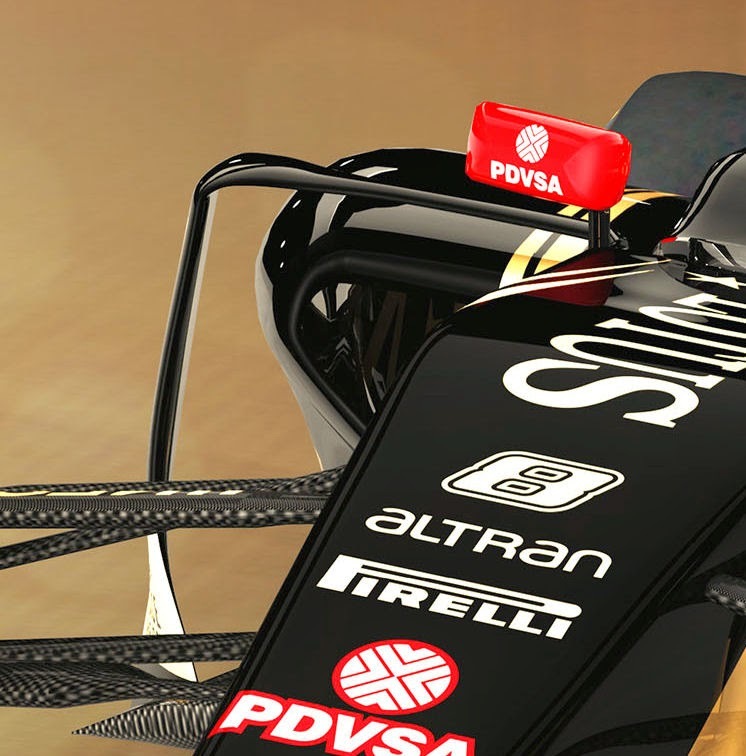 Intriguingly the E23 features two airbox shoulder ducts that sit just a little lower than the airbox itself, their purpose at the moment is unknown especially as the PU106 (Mercedes PU) seemed to be the most thermally efficient of the bunch, however as we know changes for 2015 mean the PU will produce more power and so may require a little more cooling. Their positioning however does lead me to believe that they may be focused on cooling ancillary components such as oil coolers (Turbo and Gearbox, marked on in yellow, something other teams have done in the past, perhaps just not as dramatically). 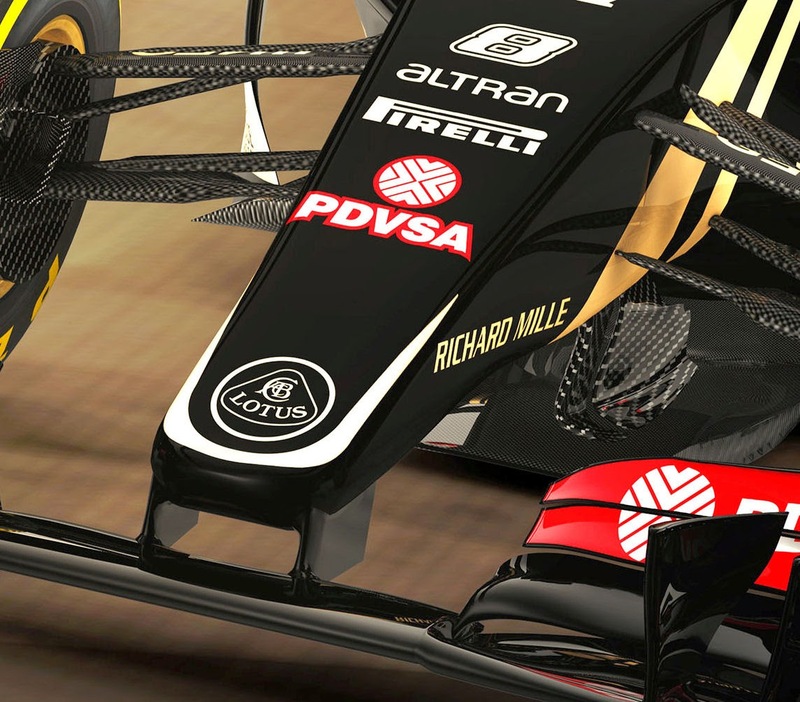 At the rear of the car echoes of the late 2014 specification of the E22 with a symmetrical rear wing mounting pylon inserted in the upper section of the engine cover which I'd be surprised that there isn't like Red Bull an inverted Y-Lon which resides within, acting like an aspirator and pulling the airflow through the engine cover. On the render no Y100 Winglet (Monkey Seat is present). 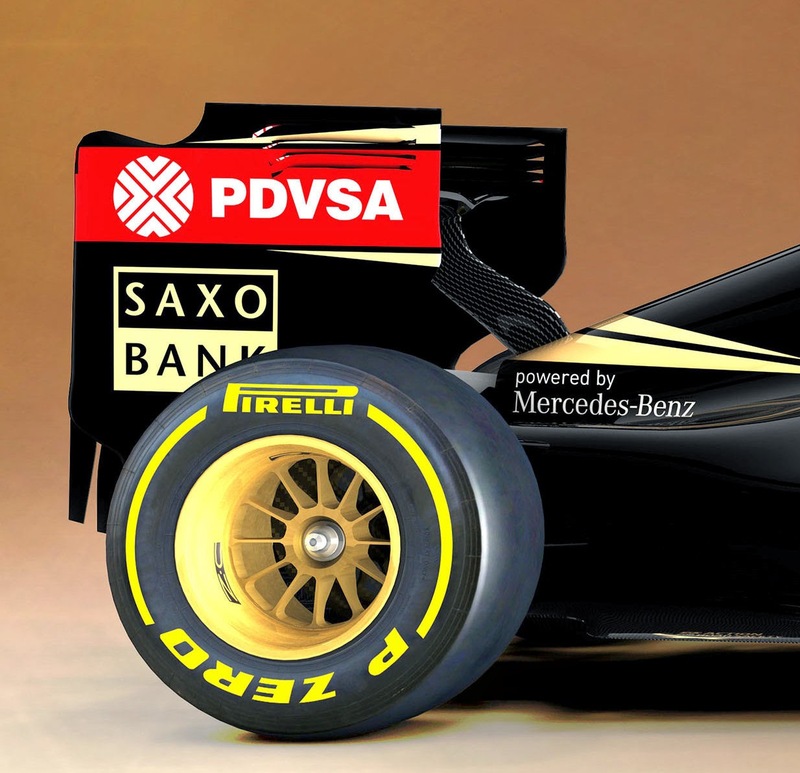 As with all of these launch renders what we see covers the bases, during pre-season testing I'm sure we'll see an evolution of the E23 and as always I'll keep you upto date as best I can. This is an outstanding site. The most detailed and insightful analysis of these cars, and really rewarding to read.